This book is filled with practical, useful information, insights and expert advice that real estate agents and real estate lawyers need to know, in dealing with their legal duties and responsibilities. As a real estate agent, it is easier to concentrate on the job-at-hand when you're not worried about making potentially serious and costly mistakes. This is especially true in today's high-stakes real estate market with its complicated and often confusing laws and procedures. 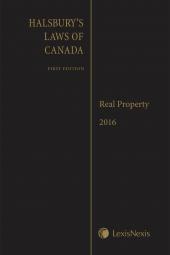 That's why this one-of-a-kind reference book has become a staple in real estate and law offices across Canada. 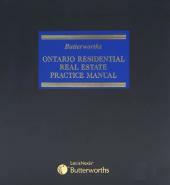 It is filled with practical, useful information, insights and expert advice that real estate agents and real estate lawyers need to know, in dealing with their legal duties and responsibilities. It is also a handy reference for those buyers and sellers who have enlisted the services of a real estate agent and want to understand the exact scope of the agent's role, as well as his or her duties and potential liability toward them. Martin K. I. Rumack, B.A., LL.B. has been practising law for over 30 years. His practice includes the areas of business law, wills, powers of attorney, and estate planning and administration. His area of specialty, however, is real estate law, acting for a wide range of clients, including: both residential and commercial buyers and sellers, financial institutional lenders, and developers. Martin is recognized as being one of the few lawyers who acts not only on deals involving condominium properties, but also on those involving both co-ownerships and private equity co-ops properties. In this capacity he acts for buyers, sellers, developers, and financial institutional lenders alike. Additionally, he has been actively involved in the conversion of rental buildings to co-ownership and condominium structures. Over the years he has developed and taught both credit and non-credit courses for the Toronto Real Estate Board, similar organizations in the province of Ontario, and numerous real estate offices. He has also developed and presented professional education seminars: attendees have included clients, lenders and managers of financial institutions, as well as members of the public; the topics have included a spectrum of subject-matters ranging from the buying, selling and financing of real estate, to estate planning and related matters. He has also written articles covering a wide range of real estate topics for a number of different publications. Rosemary Bocska, B.A. (Hons. ), LL.B., is an experienced research lawyer who obtained her law degree from the University of Windsor Faculty of Law in 1989. 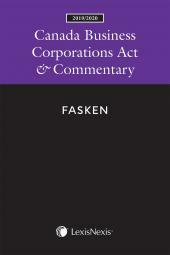 After her call to the Ontario Bar in 1991, Rosemary practised at a well-known employment and labour law firm. She established her legal research practice in 1992 and from 1994 to 2003, she ran her practice while working full-time at LexisNexis Canada as Legal Information Manager in charge of Canadian legal online content. As a research lawyer, Rosemary provides high-quality legal research and writing services in all areas of the law. She is the author or current updating author of a numerous legal publications, including: Ontario Residential Real Estate Practice Manual (LexisNexis Canada,1991-(loose-leaf)); Employment in Alberta (LexisNexis Canada, 2001-(loose-leaf)); Employment in British Columbia (LexisNexis Canada, 2001-(loose-leaf)); Employment in Ontario (LexisNexis Canada, 2001-(loose-leaf)); and Legal Responsibilities of Real Estate Agents (LexisNexis Canada, 2006) eds. 1-4.